Type your Maersk tracking number below, get live delivery information with our express tracking system. If you have problem with our container tracking system, please track your container directly on the Maersk Line website. If you get no tracking information from Maersk Line official website, you’d better contact Maersk Line. When you ship with Maersk Line, you will get a Maersk Line container tracking number with format MAEU1234567, MAEU is Maersk Line’s prefix. Maersk Line have the following prefix: MSKU, MWCU, MWMU, MAEU, SEAU, APMU, MHHU, MSFU, PONU, POCU, KNLU, OCLU, NDLU, FRLU, MCAU, MCHU, MSAU, FAAU, TORU, LOTU, MGBU, MIEU, SCMU, HDLU, MRKU, MSWU, MVIU, MNBU, MCRU, MMAU, BSLU and MALU. 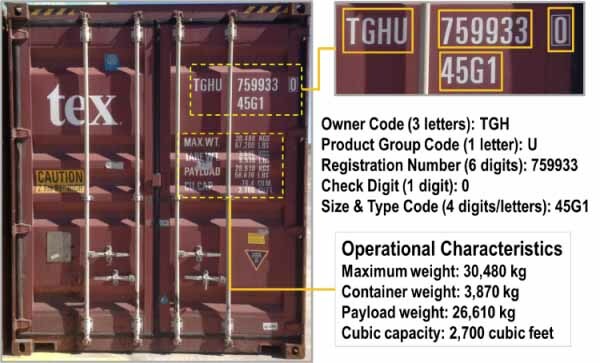 Know more Maersk line container tracking number information from below picture. If you have problem with our Maersk Tracking system, submit your problem here, we will help you as soon as possible. Declare: We can NOT contact carrier or others on your behalf, we can only help you track your package with your Maersk tracking number on official tracking system.